Can you believe it! 2018 is RIGHT AROUND THE CORNER! Before we know it (UGH!) we will be right back in our classrooms gearing up for real learning. It is no surprise to any of us that real instruction begins with January. Parties and days off settle down and learning gears up! However, it doesn't have to be "just learning", it can be fun too! 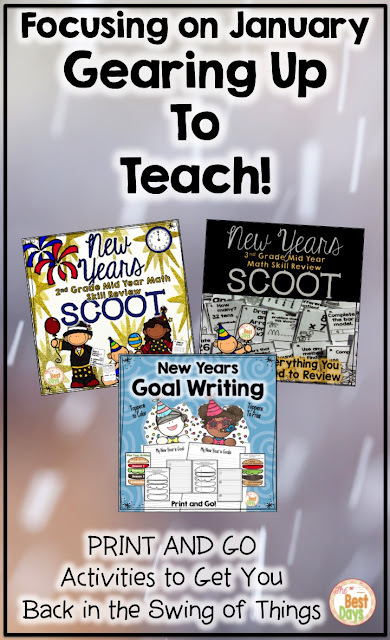 Here are some great ideas to keep the fun going in the month of January! One great way to get going when school restarts is with a review game of SCOOT! 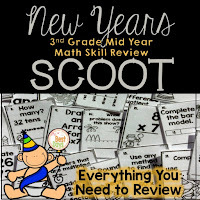 If you haven't played SCOOT before, it is a truly fun game! Just lay out the cards around the room, copy the work page, and you are ready to begin. 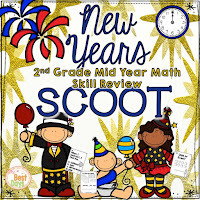 Each student takes their spot behind a SCOOT card. Once you are ready, call "GO!" and students need to complete the task in the time allowed. I have found that most kids can complete the work within on minute. When the time you set is "up", you call out "SCOOT" and the kids move to the next task at hand. They will make their way all the way around the SCOOT loop. When you are finished, check the work together. This is a great way to refresh their skills and have a good time all wrapped up in one activity. If you teach second or third grade happens I have a mid-year review SCOOT just for you! Another great way to get into some fun and still learn a lot is with writing. 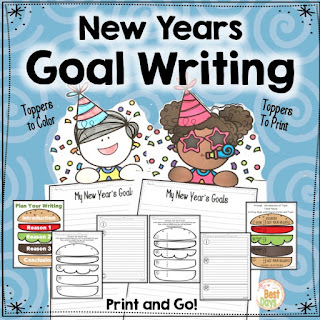 By January most students are ready to take the next challenge in the area of writing. They have been practicing basics and are now ready to move along. It is important to remember to differentiate within this subject however. Some students will still need to be guided along within planning and writing essays. One easy way to do this is to have different levels of work within the same prompt you are working on. Here is a writing activity that you can use that does just that! 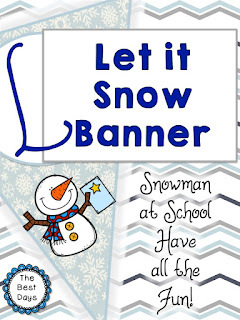 Plus, it's a great way to add a little flair to your hall once you take down all the holiday displays! Don't forget about Science! We all know that we are NOT prepared to just jump right into curriculum when we get back, especially in this content area. Why not warm your students up with a little STEM! 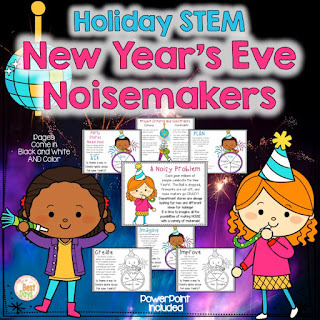 One quick and easy way to do this is to try out these New Year's Eve Noisemakers. In this STEM you will be reviewing sound energy! 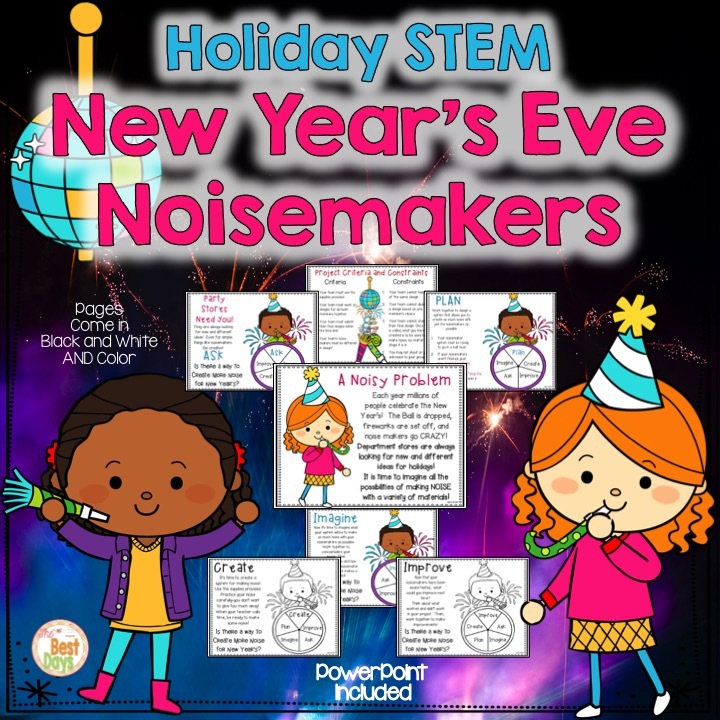 My students had such a great time completing this STEM-yours will too! Read all about it here! More importantly than all of the ideas I've shared here is the very idea that you are there to support them through the next few months! We all know that we come back in January ready to go, ready to learn. Take a few minutes to remember who they are and who we are to them! Take a few minutes to reflect now about where you want to be with the social and emotional state of your classroom. They can't learn till they feel safe and loved! And that's why we do this thing, each and every day that we step into the classroom! Enjoy the rest of your break and remember-REST and RECOVER, but have some fun when you get back too!